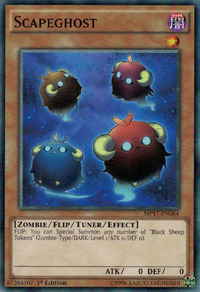 This card is the Zombie counterpart of Scapegoat. Its name is also a pun off that card and the card's overall properties are nearly identical to the properties of the Sheep Tokens Special Summoned with Scapegoat. This card is the first Zombie counterpart of a Spell Card.